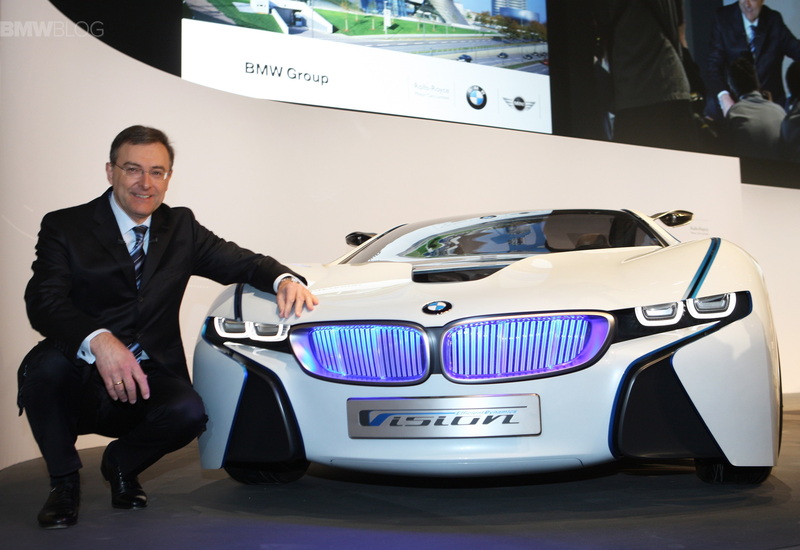 In less than six months, Dr. Norbert Reithofer’s tenure as BMW CEO will come to an end. The highly successful Chief Executive Officer will hand over the reins to the 49-year old Harald Krüger. The new CEO of BMW AG has some big shoes to fill because under Reithofer, BMW Group has become the most successful manufacturer of premium cars in the world and significantly expanded its lead over the chasing automakers from Stuttgart and Ingolstadt. In the almost nine years, from September 1, 2006 to May, 13 2015, the BMW Group increased its worldwide sales from less than 1.4 to more than 2.1 million units. The company’s sales grew in the same period from less than 50 to over 75 billion euros. The basis for these impressive numbers is a dramatic expansion of the model range for all three brands of the BMW Group. In 2006, BMW had 15 different body styles, and in 2015 there will be no less than 27 models. MINI diversity increased from 2 to 8 variants, Rolls-Royce multiplied the body diversity from 2 to 5 variants. Not only the expansion of the X-range from 2 to 5 models is important, but also the niche models, like the BMW 5 Series GT or BMW 6 Series Gran Coupe which are now contributing to the increased sales. Completely new families, such as the 2 Series and 4 Series, had already successful replaced their predecessors. Other vehicles like the BMW i8 and i3 will pave the future for the brand. The new i-models sales are symbolic for the BMW Group in 2015, but future models and large-scale use of carbon fiber will be rolled out in the next few years leading to new significant revenue streams for the brand. New vehicles, such as the upcoming G11 7 Series and G30 5 Series, will be launched after the current CEO has stepped down, but nonetheless these models were built under his supervision. A special BMW M car will also arrive in 2016 to mark the centenary of the brand – the car is currently in development. Reithofer preferred to take a methodical, analytical approach, but he often took risky decisions, one that comes to mind is the BMW cut production back in 2009 before recession hit worldwide. He joined BMW in 1987 after obtaining his doctor title at the Technical University of Munich. He required only 13 years to rise to the executive board, which he joined in 2000 as head of production. He became chief executive in 2006. He will remain known as one of the most successful CEOs BMW has ever employed. Next post How Many M Logos Are On The New BMW M3/M4?